Hitting Close to Home. Literally and Figuratively. In the last few days things seem to be getting worse, but still okay. There is no cease-fire no matter what Hamas says – they are liars. Still planning to attack, still sending rockets, and now the locals seem to be getting restless. Being a ‘settler’ we are surrounded by Arab villages. While some find this scary, there was always a certain security that came with it, for me at least. See, I thought, well, no one is going to send a rocket so close to his cousin’s home, right? Until there was a rocket that landed in Bethlehem, then another in Hebron. When we ran to the bomb shelter, not 10 seconds after shutting the window, we felt it. We heard the boom and felt a tremor – okay maybe that was my heart pounding – but it sure felt like it hit close by. After when we checked the news and saw that it did – my reality took a right turn to hello-stupid-wakey-wakey. Hamas doesn’t care who they hit – I’ve listened to videos of women praising their suicide bomber sons. One Palestinian woman, whose baby was being treated in a hospital in Israel by Jewish doctors and nurses, fervently repeated that their people were not afraid of death. When the interviewer asked her then why bring her child to the hospital, why not just let him die? Her response was that she has had 2 other children die in her arms before, and that it is very painful and that she has no control over what happens, “it’s a natural thing, what can I do if he dies?…Allah gave us a gift – to forget…gave and Allah has taken away…don’t you believe in death?” The interviewer (and most people I know) answered, “No, we consider life valuable”. Her response? “Life is zero. Life is worthless”. Don’t believe me? Here is the interview: ( I do not know the person who posted this). When your enemy has complete disregard for life, there is no brokering deals. There is no meeting of the minds. There is good vs evil. And if the good doesn’t make every effort to destroy evil from the midst it becomes like a virus, spreading and there is no other way to make it stop. I’m not saying you all should move to Israel, because each person needs to decide for themselves what works best. I just have a hard time people justifying living anywhere else. I feel most protected here, because I am aware that my enemy is close. I fear death just like the next person (well not my Arab neighbors it seems) and every month is a battle to ‘make it’ financially in the life we are accustomed to. We have been fortunate that no sirens have sounded in at least 2 weeks, but I know this creates a false sense of security. With smaller rioting matters at hand, the threat is still very much imminent. We are all at risk, we must all take extra precautions but at the same time, we have to live our lives as regularly as possible. We continue to drive to work, to go to camp, to shop for food, to prepare for Shabbat. Most importantly we must continue to pray. We must continue to let our soldiers know how much we care. Feel free to ask me how you can contribute – there are lots of ways, some not even asking for your money, just your time. I pray today is quieter than yesterday. I pray our boys come home soon. I pray that the next post I write is not about this. We are always on the verge, it seems. On the verge of war that is. We have been warned to obtain gas masks for our families, ensure that our bomb shelters are up to code, and that our sirens are functional. Our soldiers are training and we hear stories from our sons, and our friend’s sons of what its like in the field, on the border, at their posts, with their guns, or standing alert. We hear about children’s kindergarten’s in the north being bombed,random missiles being shot and the absurdity of the loss of a teenager’s life out and about with his father. The war on us has reached a new level. It has once again entered our neighborhood, when 3 young boys leaving school are taken against their will. Kidnapped. The last kidnapping had the country shouting for 5 years to release our soldier-boy. A soldier, not teenagers leaving from school and this has to stop. The world needs to see that this type of activity is not because Palestinians are being mistreated, what a joke! We gave back convicted terrorists to save ONE LIFE, and in turn these same animals attack us again and again after receiving freedom. In no other country would a murderer be let free. Yet we look like the bad guys. How is that even possible? They are allowed in our malls, in the supermarkets, on the same busses and trains. We employ them to work constructing our homes, tend to our gardens, tailor our fabrics. We offer electricity and water and food supplies when needed. And they steal our children. They enter our homes when we are sleeping and bludgeon our babies to death. They drive tractors over innocent motorists killing our families. They walk into our schools with semiautomatic weapons and shoot our children randomly. They are wolves in sheep clothing, entering our cars waiting with hidden knives to attack when we offer them a hitch, or dress like us only to blow themselves up on a bus hoping to take as many Jews with them. We are a defensive people. We were given the gift of the land of Israel and we respect it, cherish the history from our forefathers, are blessed with making it flourish and we use stones to build a community not to throw at passing cars. We teach our children to build healthy relationships and yet they have summer camps that instruct their children to destroy at all costs, innocent people. When we left our productive land, forced by our own government, physically pulled out of our homes by 50,000 of our own soldiers as an olive branch, what happened to the wonderful homes built with love, or the fields of produce that once flourished? Destroyed and now? Now nothing, absolute nothing. Where has there ever been any kindness from the other side. The world wants peace. They want us to give, and give until there is no more to give. There is no rest for the weary, our boys have not yet returned home, our communities are offering food and kindnesses to the soldiers. Our 22 “settlements” all baked, and bought, cooked and served to show appreciation in the efforts of all they do. When asked to prepare cakes, rolls and Challot for the Sabbath to give to the boy’s high-school for all the students, in accordance with baking enough in order to make a special blessing, there were 159 women who signed up. Together we delivered 349 rolls, 207 Challot and 60 cakes to the school that houses close to 300 students. 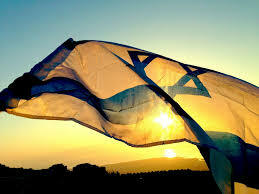 We are bound by a commandment, “all the people of Israel are responsible for one another”. We are brothers, we are one family. We are bound to protect and love each other as we love ourselves and during this awful time we offer what we can in action, deeds and prayer in the hopes that we flood the gates of heaven with our cries. 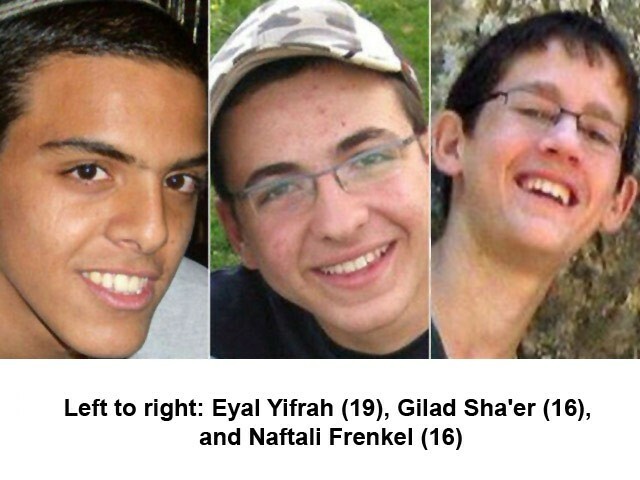 We beg for mercy, we trust in G-d and together, a people united we continue to hope that the boys are returned unharmed. 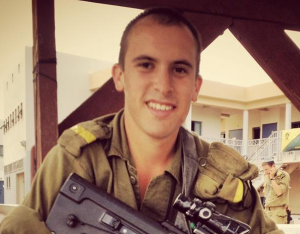 Please continue to pray for Gilad, Naftali and Eyal.